[recommend] Good morning and welcome to our Weekend blog as we build up to another crucial couple of days. Spring has been in the air this week but unfortunately that also means the end of the season is quickly approaching, with matches taking on added significance as teams battle for trophies, European spots or league survival. We’ll have all the build-up and team news today, as well as all the top lines coming out of the manager’s press conferences. [cardiff] Ole Gunnar Solskjaer hopes Cardiff City can build on last weekend's victory over fellow strugglers Fulham and further boost their survival hopes with a good performance at Everton tomorrow. 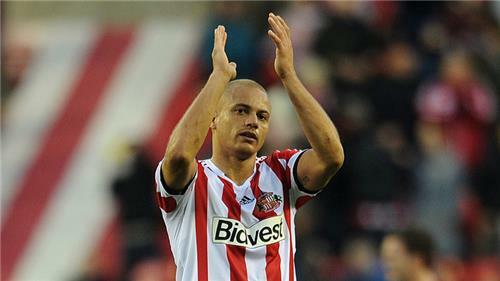 [sunderland] Sunderland boss Gus Poyet has a virtually full-strength squad from which to select for tomorrow’s game against Crystal Palace. Central defender Wes Brown and midfielder Craig Gardner both missed the 3-0 FA Cup sixth-round defeat at Hull with knocks, but have since returned to training and are in contention. Striker Jozy Altidore, defender Valentin Roberge and midfielder El-Hadji Ba sat out at the KC Stadium through illness, but all three have recovered, leaving only goalkeeper Keiren Westwood (shoulder) on the sidelines. 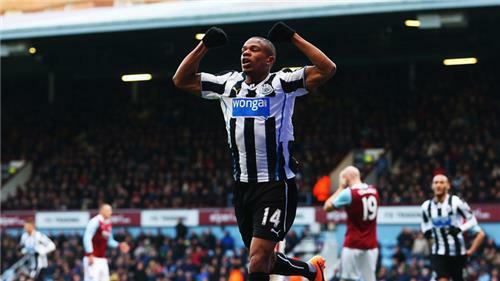 [newcastle] Absent Newcastle boss Alan Pardew has been dealt a major blow ahead of Saturday's trip to Fulham. Pardew has a stadium ban after headbutting David Meyler and will set his team out in advance. Leading scorer Loic Remy is likely to miss the next three games with a calf problem, and he will be joined on the sidelines by full-back Mathieu Debuchy, who has a groin problem and will sit out at least the same period. 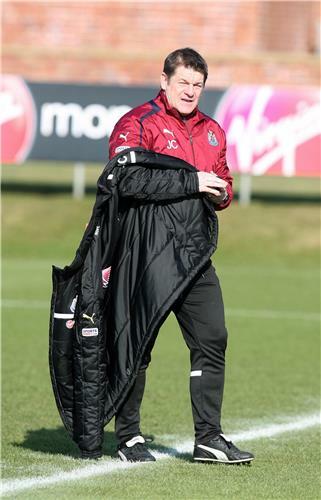 Central defender Fabricio Coloccini returns after a family bereavement, but keeper Rob Elliot and full-back Davide Santon (both knee) remain doubts and midfielder Hatem Ben Arfa will not be included because of a family illness. [arsenal] Arsene Wenger has admitted it is a blow for Arsenal to lose Mesut Ozil to a hamstring injury for the next few weeks, but is confident they have the players to cope in his absence. When the minimum is three, (then) the maximum is six. I am not specialist enough to know, it is a grade two hamstring (tear), so let's say four weeks. 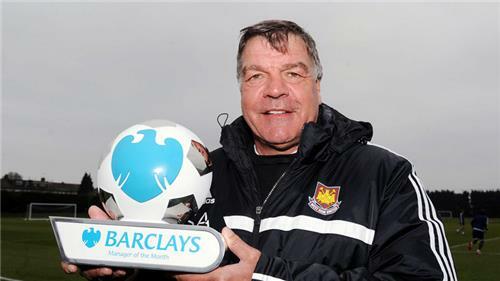 [westham] Sam Allardyce has been named the Barclays Premier League Manager of the Month for February after guiding West Ham United to four wins out of four. It is the fifth such accolade of his career after a remarkable turnaround which has lifted the Hammers clear of the relegation fight. Liverpool striker Daniel Sturridge, meanwhile, has won the Player of the Month prize, having scored five goals in as many appearances. [audio] So Sam Allardyce is the Barclays Manager of the Month and West Ham vice-chairman Karren Brady’s been telling Sky Sports News Radio they never considered sacking him during their bad run over Christmas. [westham] West Ham manager Sam Allardyce has no fresh injury concerns as he prepares his side to face Stoke. Andy Carroll is in line to return to the starting line-up for the first time since his sending-off in the 2-0 win over Swansea although fellow forward Marco Borriello remains sidelined with a calf injury. Joey O'Brien (shoulder) is a long-term absentee while Antonio Nocerino is still looking to make his first Hammers start with full-back Pablo Armero yet to feature since joining in January. [manchestercity]Yaya Toure insists winning just one trophy this season would not be a failure for Manchester City and concedes Chelsea are favourites in the title race. City have seen their hopes of an unprecedented quadruple ended by defeats to Wigan in the FA Cup and Barcelona in the UEFA Champions League in the last week, and they find themselves nine points behind league leaders Chelsea. Football is a competition and only one team can win each of them. So don't say we would be failures because we have won something already, but now we want to win more. [chelsea] Jose Mourinho may have a nine-point lead over Manchester City and a seven-point to nearest rivals Liverpool, but they have played more games than their title rivals and Jose Mourinho still insists the race is wide open ahead of his side's trip to Aston Villa. [crystalpalace] Crystal Palace manager Tony Pulis will be without Morocco striker Marouane Chamakh for tomorrow’s match at Sunderland. The 30-year-old, who is the Eagles' top scorer with five league goals, is sidelined with a hamstring strain that already saw him sit out last weekend's 1-0 defeat to Southampton. English forward Glenn Murray is set to replace Chamakh up front and lead Palace's attack at Sunderland. Pulis will have the rest of his players available for the encounter at the Stadium of Light. [scottishfootball] Rangers are in action against Dunfermline tomorrow, live on Sky Sports 3HD at 12.45pm, having secured the Scottish League One title this week. However, boss Ally McCoist is unsure if David Templeton and Andy Little will play any further part this season after limping off against Airdrie on Tuesday with groin and thigh issues respectively. They join midfielder Lewis Macleod (knee) and defender Ross Perry (ankle) on the list of absentees. Meanwhile, McCoist is praying Dave King can strike a peace deal with the Rangers board and end the Ibrox off-field saga once and for all. [crystalpalace] Crystal Palace manager Tony Pulis says his side's good recent form must not distract his players from remembering they are in a battle for Premier League survival. [manchestercity] Manuel Pellegrini has a number of injury concerns ahead of tomorrow's journey to Hull City, with Sergio Aguero among those set to miss out for Manchester City. PELLEGRINI: Aguero will be out for more than one week but I don’t think it is very serious. PELLEGRINI: Matija Nastasic and Stevan Jovetic are still recovering. Maybe next week they will be fit. Micah Richards also has a problem. [manchestercity] Having bowed out of the Champions League at the hands of Barcelona on Wednesday, Manchester City boss Manuel Pellegrini is now determined to overhaul the nine-point gap to Premier League leaders Chelsea. PELLEGRINI: We need to work hard now. We must try to fight for the title. There isn’t only Chelsea. Arsenal and Liverpool are also fighting. [astonvilla] Aston Villa will be without on-loan left-back Ryan Bertrand when they face his parent club Chelsea tomorrow. The 24-year-old's ineligibility opens the door to Joe Bennett or Antonio Luna, who are competing for his spot in Paul Lambert's XI. Lambert otherwise has the same squad to pick from as he did last time out against Norwich, with the likes of Jores Okore and Charles N'Zogbia on the long-term injury list. [audio] As Tim Sherwood continues to makes headlines, former Tottenham boss Gerry Francis says a manager must be allowed to manage in his own style. 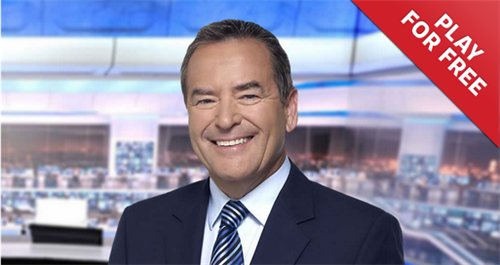 Speaking on Sky Sports News Radio, he says results will dictate whether that style is successful. [cardiff] Cardiff City manager Ole Gunnar Solskjaer hopes their win over Fulham last week will give his players a boost, but insists the pressure is still on. [everton] Roberto Martinez insists Everton will emerge from their FA Cup loss to Arsenal a stronger team in the long run. Everton were defeated 4-1 in their quarter-final at the Emirates Stadium last weekend but Martinez is looking to finish the season strongly and hopes to pick up three points at home to Cardiff tomorrow. We have an incredible opportunity to be as good as we can for the fight of the final 11 games of the season and that is where everything gets decided. Hull v Man City (Sat, 12.45pm): Man City haven’t won away at Hull in the league since their first ever meeting in October 1909. Everton v Cardiff: The last time Cardiff played Everton at Goodison Park in the league was in April 1962 and the Toffees won 8-3. Fulham v Newcastle: Fulham have won the last four Premier League home games against Newcastle, but the Magpies have triumphed on four of their last five league trips to London. Southampton v Norwich: These two sides have let the most points slip from winning positions this season (15 each). Stoke v West Ham: The Hammers didn’t manage a single shot on target against Stoke in their meeting at Upton Park earlier in the season. It's going to be a tough game because Brentford are a very good side. Their record stands up over the last 23 games. It's phenomenal. [manchestercity]Manchester City will be without star striker Sergio Aguero at Hull on Saturday (kick-off 12.45pm) after he suffered a recurrence of his hamstring injury in midweek against Barcelona. In the absence of Aguero, Edin Dzeko and Alvaro Negredo are expected to lead the attack. Martin Demichelis is available again after being suspended for the Champions League defeat at the Nou Camp and he could replace Joleon Lescott in defence. Matija Nastasic (knee) and Stevan Jovetic (hamstring) are both still missing for Manuel Pellegrini's men. Sunderland v Crystal Palace: Sunderland are the joint-lowest home scorers (13) while Palace are the lowest away scorers (6) in the Premier League this season. 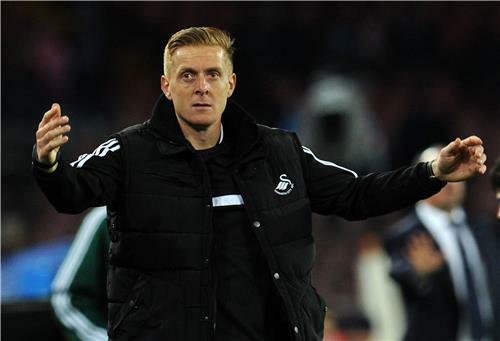 Swansea v West Brom: If the Premier League season had started on December 1, West Brom would be bottom of the table. Aston Villa v Chelsea (Sat, 5.30pm): Since August 2007, there have been more penalties in Aston Villa v Chelsea games than in any other fixture (nine) - but they have all come at Stamford Bridge. Man Utd v Liverpool (Sun, 1.30pm): Only Everton v Liverpool (20) has seen more red cards than the Liverpool v Manchester United fixture in the Premier League (14). Tottenham v Arsenal (Sun, 4pm): Only Liverpool v Newcastle (126) has seen more goals than Arsenal v Tottenham (125) in Premier League history. [betting]Have you made your Super 6 entry yet this week? It's a full house of Premier League action for Round 35, with all six 3pm kick-offs on the bill. Need some advice? Check out Jeff's Stat Pack and get your entries in before 3pm tomorrrow. Remember, it's free to play. Play now! [liverpool]Liverpool boss Brendan Rodgers says the club are where they deserve to be in the league and insists he is focused on his own side, not Sunday's opponents Manchester United. 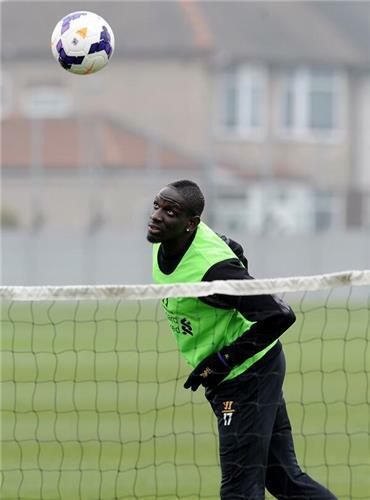 [liverpool]Midfielder Lucas Leiva and defender Mamadou Sakho both return to Liverpool's squad for Sunday's trip to Manchester United (live on Sky Sports 1HD from 12.30pm). The pair, sidelined for some time with knee and hamstring injuries respectively, both came through an under-21s game unscathed on Friday and have rejoined the first team. Forward Raheem Sterling could push for a recall after scoring almost immediately having come off the bench in their last victory at Southampton on March 1. [manchesterunited]Winger Nani has recovered from a long-term hamstring injury and is available for Manchester United's home game against Liverpool on Sunday. Defender Jonny Evans (calf) and striker Javier Hernandez (knee) are making encouraging progress in their respective rehabilitation programmes and could also feature. Manager David Moyes must decide whether to stick with Robin van Persie or to recall Danny Welbeck, who scored a fine goal against West Brom last weekend. 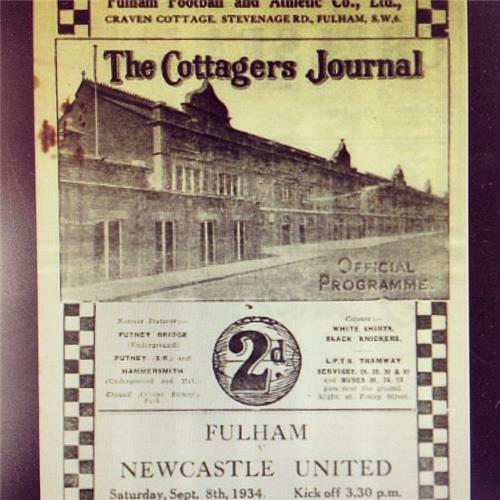 The official #ffc matchday programme from 1934 as we took on #nufc. Fulham won the match 3-2. [tottenham]Tottenham will be without captain Michael Dawson for the north London derby with Arsenal (live on Sky Sports 1HD from 3.30pm), while Kyle Walker is a major doubt. A hamstring injury suffered in last weekend's 4-0 defeat at Chelsea will keep centre-back Dawson out of Sunday's match, while a pelvic complaint may well sideline right-back Walker. Danny Rose (knee) could return to the starting line-up having featured from the bench in Thursday's Europa League loss to Benfica, while Tim Sherwood will be hoping Mousa Dembele is also in contention. Etienne Capoue (ankle), Erik Lamela and Vlad Chiriches (both back) all remain sidelined. [play]In Sky Sports Vault this week, we go back through eight of the most memorable moments from previous North London derby encounters between Arsenal and Tottenham in the Premier League. Our accompanying feature article contains all the important info on the incidents we've selected. [arsenal]Arsenal will be without midfielder Mesut Ozil for at least three weeks because of a hamstring tear as the Gunners prepare for Sunday's north London derby at Tottenham (kick-off 4pm). Goalkeeper Wojciech Szczesny will return from a midweek European suspension while full-back Nacho Monreal and striker Yaya Sanogo have recovered from foot injuries. Midfielder Kim Kallstrom (back) could be in the squad for the first time. However, defender Kieran Gibbs (calf) remains a doubt, midfielder Aaron Ramsey (thigh) is still a couple of weeks away from full fitness, while Jack Wilshere (foot), Theo Walcott and Abou Diaby (both knee) remain out. [tottenham]The quality feature content just keeps coming ahead of the north London derby on Sunday. 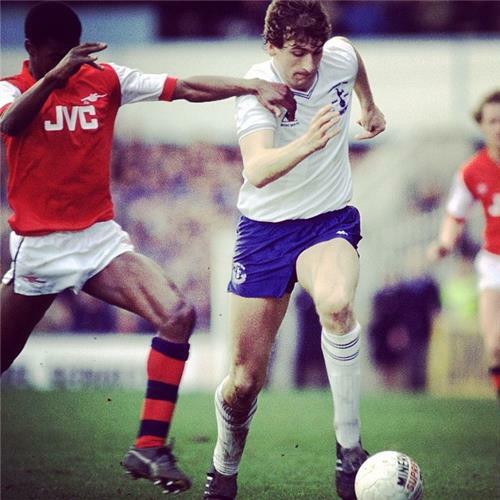 Peter Fraser asked those in the know for their derby memories ahead of Tottenham versus Arsenal - read on for the views of Gunners legends Ray Parlour, Nigel Winterburn, Alan Smith and Perry Groves, and also those of former Spurs stars Gary Mabbutt, Darren Anderton and Jamie Redknapp. The club notes Nicolas Anelka’s comments on Twitter this evening (Friday). However, the club has received nothing formally regarding the termination of Nicolas Anelka’s contract from either him or his advisers. The club regards the release of such a statement on Social Media as highly unprofessional and will make a further statement when appropriate. Today we are going to bring you all the goals, talking points and reaction from a busy day in the football calendar and we start in East London with the top of League One clash between Leyton Orient v Brentford which you can watch live on Sky Sports 1. There's a total of EIGHT Premier League games today starting at the KC Stadium as Hull host Man City. Then we'll bring you all the team news and build-up to the six 3pm kick-offs including: Everton v Cardiff, Fulham v Newcastle, Southampton v Norwich, Stoke v West Ham, Sunderland v Crystal Palace and Swansea v West Brom. Then, we'll get ready for Saturday Night Football which sees Aston Villa host table-toppers Chelsea... Is that enough? There is only a piece of wafer-thin ham between the sides at the top of League One, though, so I will watch with interest to see what develops.